1. Tell us about the season so far, are you satisfied with team and the amount of points you have gained? Our season so far has certainly been an interesting one. We’ve had some impressive results beating West Ham at home and securing a creditable draw against Tottenham and I would suggest that most fans are relatively pleased with the amount of points we have accumulated despite conceding late goals against Sunderland and Spurs. The supporters still seem to be frustrated by our style of play, though we have been creating more chances in recent games. 10 points from 8 games is a good return from some testing fixtures but we will be hoping to add to this, especially in the run up to Christmas. 2. What are your thoughts on your manager, Tony Pulis? Is the right man for your team? Well where to start with the conundrum that is Tony Pulis. You either love him or you hate him. I would predict that the majority of our supporters aren’t overly fond of him but nobody can deny he gets results in the Premier League. I don’t think he will ever win over some of our fans but whilst we are picking up results I don’t think there is a question of him being sacked. Although we have had some unsuccessful transfers he has also signed the likes of Darren Fletcher and Jonny Evans who are now vital players for us. 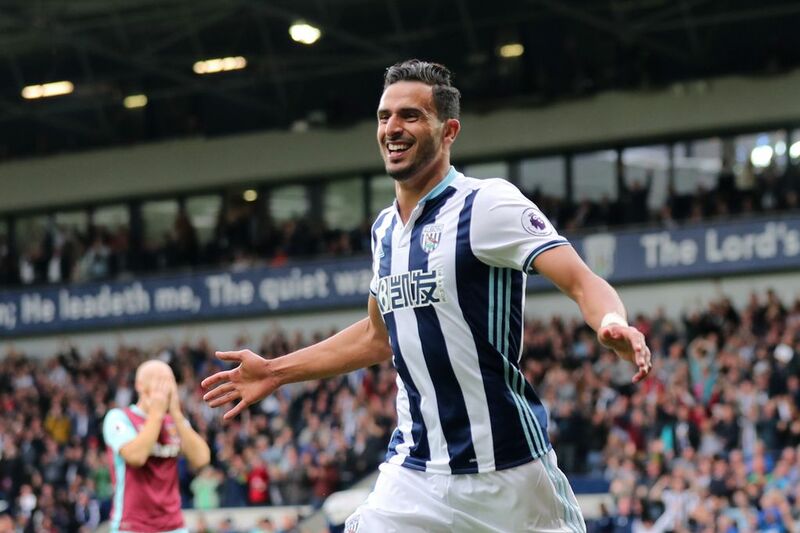 Nacer Chadli has announced himself at West Brom in spectacular fashion. With 4 goals in 5 games and a couple of assists he has instantly become a fans favourite and is certainly beginning to repay the £13 million that we paid to secure his services. Along with Salomon Rondon, their partnership could be crucial to us scoring enough goals this season. Darren Fletcher as our captain always brings a calming influence to proceedings and Jonny Evans has certainly proven he is worth much more than the £6 million we paid for him with his impressive performances in our defensive backline. 4. Tell us a bit about the way you play, what are your strenghts and weaknesses? When we arrive at Anfield we are sure to play in a 4-4-1-1 formation as we have in recent weeks but we will get men behind the ball and try to make it difficult for Liverpool to break us down. With the addition of Chadli we now have more threat on the counter attack but our main objective will be to keep it as tight as possible and hope to score from a set piece. Defensive solidity is our main strength although with Evans missing it will most likely mean the reintroduction of Jonas Olsson to our back four which may disrupt us somewhat. When we are in possession we can sometimes be a little wasteful and slow in getting forward but McClean has improved hugely in recent weeks and he could be the outlet we need. 5. Do you have any interesting young players in the squad? Jonathan Leko has been on the bench for us recently but he emerged as a great young talent at the end of last season. Primarily playing in the wide positions he has trickery and pace which causes full backs problems. In addition to Leko we also have Sam Field who certainly looks to be a real talent. Having recently signed a new deal with the club he has been hailed as a future captain of the club as well as having been compared to Darren Fletcher due to his humble attitude and composure in possession. 6. What are your thought on Liverpool and Klopp? Do you think we can compete for the Champions League spots? I think Liverpool will have a really good season this year. I’m not sure they will win the league but if they can improve defensively there is no reason why they can’t be up near the top of the table challenging for the title. Going forward with the likes of Coutinho, Firminho, Mane and Sturridge there is some real quality in the squad which I’m sure will cause many teams problems. Jurgen Klopp is another love him or hate him figure. The reception he will get from the Albion fans will be rather muted due to his ’arrogant’ over the top celebration to the draw at Anfield last season. However considering the sheer talent at Klopp’s disposal I am sure that the majority of West Brom fans would be more than happy with a repeat of last season’s 2-2 draw.